The Republic of Fortland has announced it is running for election to Seat F of the World Congress Security Council. Technically speaking, Seat F does not in fact exist, since the only elected seats on the Security Council are for Seat A (Artania), Seat B (Majatra), Seat C (Seleya) and Seat D (Dovani, Keris & Macon). However, the technical non-existence of Seat F has not prevented Fortland from running for it. 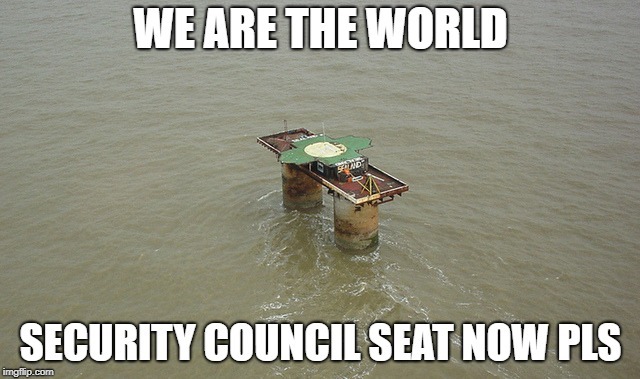 President Geoffrey Briggs has written a stinking letter to the World Congress, accusing them of being "out-of-touch with reality" and berating them for "undemocratically excluding Fortland from the Security Council elections". He has now begun a "Fortland for F" campaign, whereby he invites Fortland fans from all across Terra to sign his petition, calling for Fortland to be given a "Seat F" on the Security Council. He also claims "Fortland is more deserving of a Security Council seat than any other nation in the world, because we are the only nation that is seriously actively campaigning for it". OOC: To sign the petition, please simply have your government/party/character/organisation/whatever sign on this thread below. Anybody can become a citizen of Fortland just by filling in a form and paying a small fee. We are a unique and great nation, a people's nation of all peoples and races, of all religions, of all philosophies, of all backgrounds, of all gender identities, of all sexualities, of all disabilities, of all backgrounds - of every background you could think of and more. We are the world. Fortland is the only nation which represents the views and the interests of ordinary people, that understands how ordinary people live and think. All of the other nations are just run by politicians. We are different. Look at me? I am not a politician, I'm an ordinary bloke, just like all of you. We are the people. We are the world. 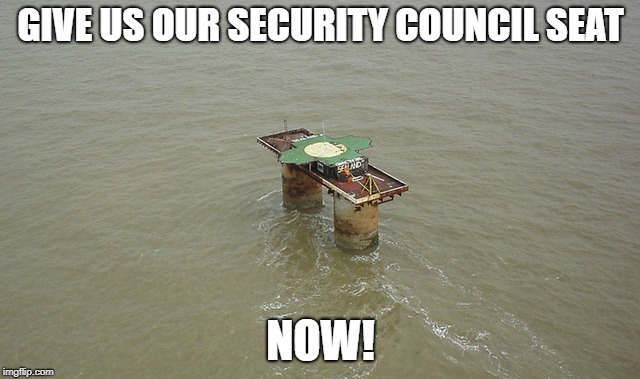 We should be on the Security Council so the people's voice can be heard. We are the world and we will not be silent. We are the world and we demand representation. Now! Fortland has just released a range of "We Are The World" stamps and coins to coincide with the Security Council election campaign, and these can be purchased from Fortland's online store at http://www.fortland.fr .